An exciting and refreshing Kanchanaburi tour from Bangkok. Spend your whole day in nature at one of the most impressive waterfalls in Thailand, Erawan Waterfall in the Erawan National Park. Not just the Erawan Waterfall itself, the surrounding is also among the most stunning in Thailand. The turquoise water is super clear and you'll see lots of fish. 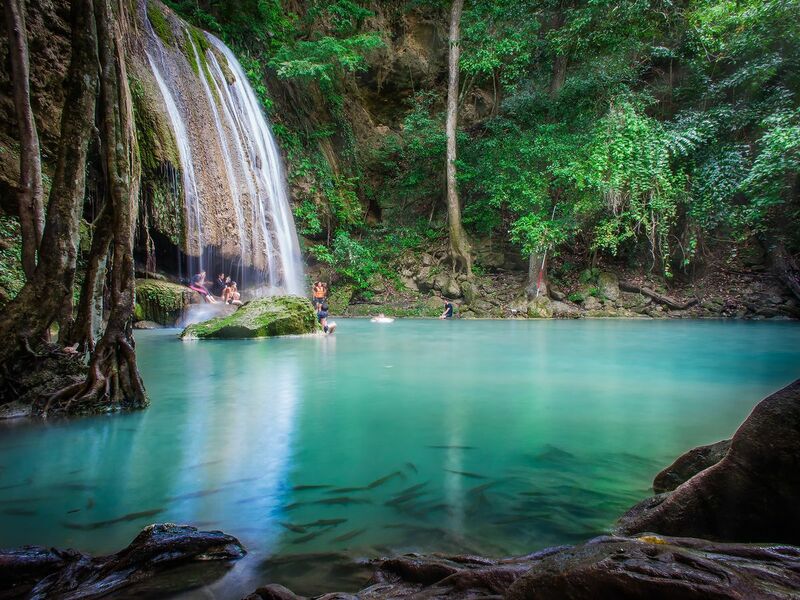 Do the Erawan Waterfall trek. Enjoy the beauty of each level and greenery. Relax and refresh yourself in nature. You will definitely love it here where you could do some adventure activities, or sit and relax nearby the falls. Also, there is 7 levels and each one will give you different feelings and this is why you should experience yourself! Very kind, cooperative staff helped me a lot. I really enjoyed outing with them. I will definitely use takemetour next time I visit Thailand, and I want to recommend this takemetour for everyone who visits Thailand. It was amazing.